We're absolutely delighted to be listed by the GastroGays as a place to visit over Dublin's Gay Pride weekend at the end of this month. Check out the link below for some other fab places to visit too! "Dublin Pride 2015 was something to behold. 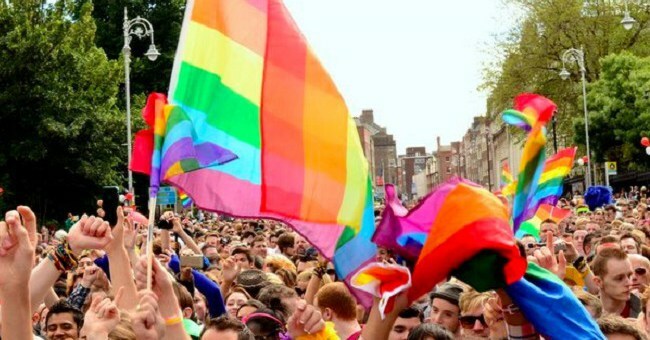 Following that historic ‘Day in May’ when equal marriage was accepted in Ireland by popular vote, it was an LGBTA celebration like nothing the country has seen before with the biggest attendance on record. In 2016, a historic remembrance year for Ireland for different reasons, Dublin Pride returns this June bolder and bigger than ever, running for the first time throughout the entire month of June. This year’s theme, ‘Rebel Rebel’, reminds us that Pride celebrations were originally born out of rebellion against inequality and oppression, much like the 1916 Rising which ultimately sparked the pursuit of Irish independence. For dinner, head to Las Tapas de Lola on Wexford Street. Vanessa and Anna have created one of Dublin’s best and most authentic tapas restaurants inspired by the food trends of Barcelona. Sometimes tough to get a table but on a bright, sunny evening their terrace is terrific for an al fresco bite."